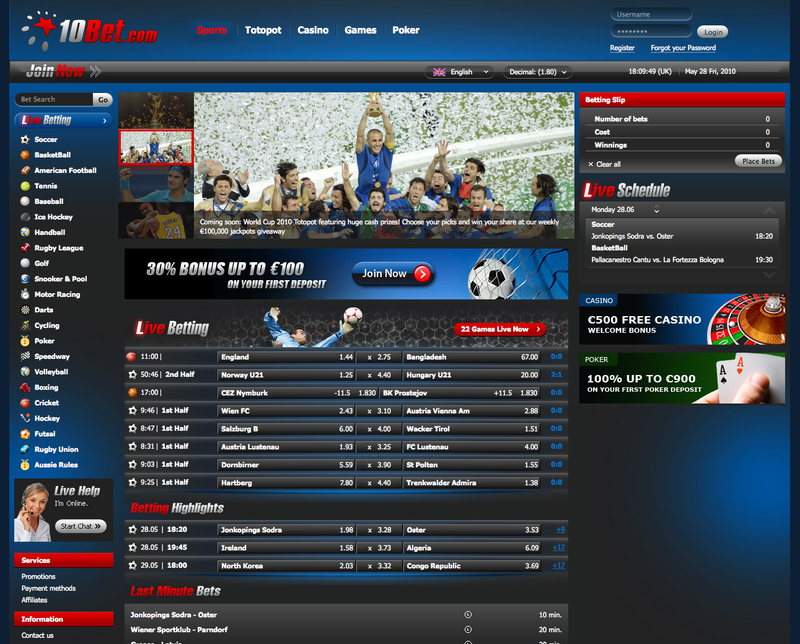 10Bet online bookmaker, established in 2003, is based and licensed in the UK. 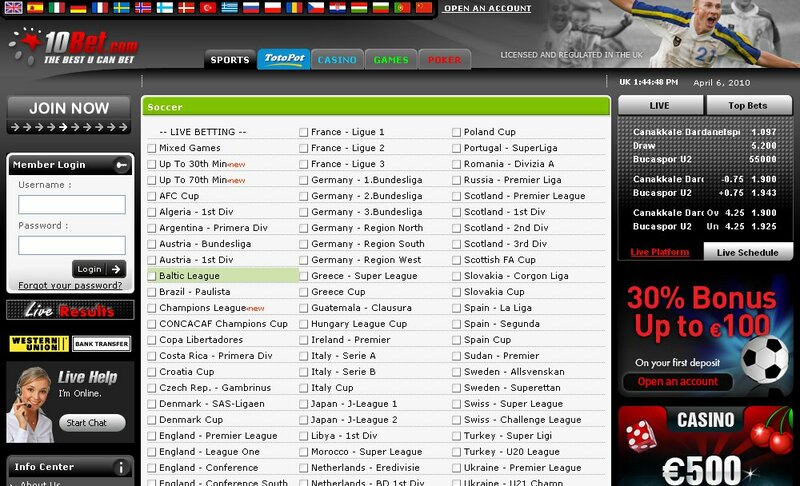 This relatively new sportsbook provides decent odds and good online service for customers in as many as 90 countries. 10Bet bookmaker has competitive offer on football with their distinctive totopot coupons. A few other disciplines are recommended as well, for instance, basketball, handball, ice hockey and rugby union. Apart from sports betting, 10Bet contains a casino, poker room and games section. Football fans in particular should be pleased with one of the widest selections of football leagues from all over the world, including the Israeli Premier and second- ier Leumit Leagues, Macedonian Prva Liga, Paraguay's Torneo Apertura, as well as exotic Yemen Division 1. Their totopot coupon combines soccer betting and multi-player pool tournaments and is quite similar to supertoto. For these reasons, 10Bet's catchy slogan “The Best U Can Bet” seems to relate, for the most part, to demanding football bettors from all over the world.